We started day four of our epic adventure visiting Hofdi House, best known as the location for the 1986 Reykjavik Summit of Ronald Reagan and Mikhail Gorbachev. While in the car, we sampled some yummy Skyr, a yogurt like substance. 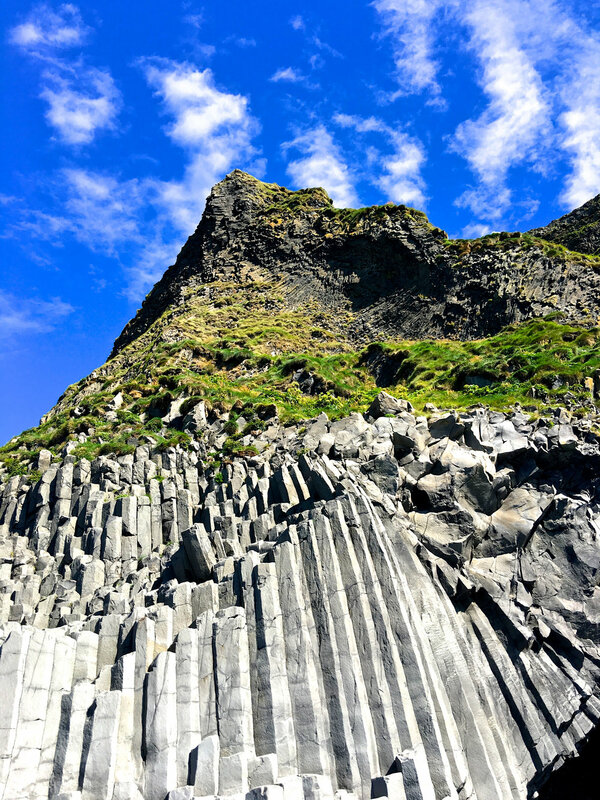 From there, we set off for the South Coast to view the beautiful waterfalls of Seljalandsfoss and Skogafoss, along with the beauty of the Black Sand Beach, Reynisfjara located near the small coastal village of Vik. Huge basalt columns rise from the beach up the side of the mountain. A lovely lighthouse path enabled us to view the beach from above after we had hiked and visited the beach by foot. We then visited Thorsmork Valley and the Eyjafjallajokull Volcano, famous for its 2010 eruption, which affected air flight world wide, and its large glacier. To get to the volcano, we forged many rivers in our four wheel drive jeep. Stay tuned for the end of Teri's Iceland adventures!